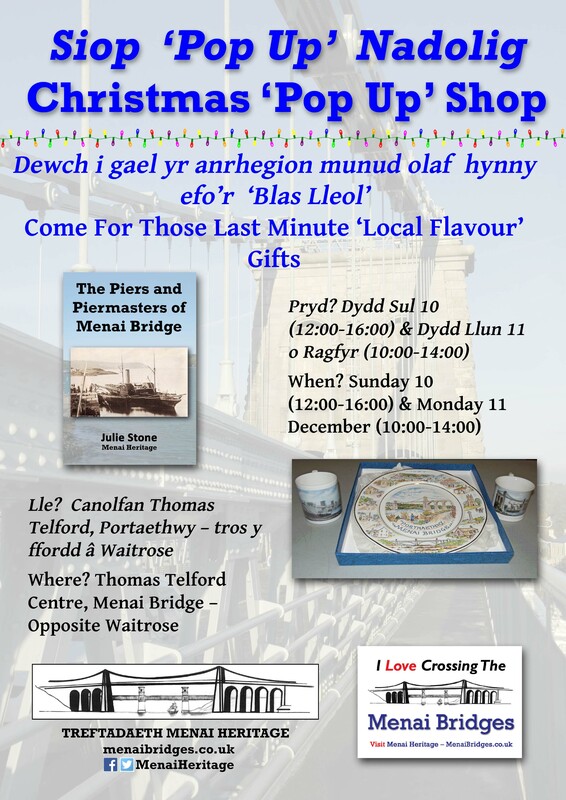 Menai Heritage Christmas ‘Pop Up’ Shop. Come For Those Last Minute ‘Local Flavour’ Gifts! When? Sunday 10 & Monday 11 December – 12:00-16:00 & 10:00-14:00.